It may not have quite the same ring to it as a certain seven-digit number made famous in song in 1981, but 6,630,507 has been growing increasingly internet-famous since last week. Following the U.S. Drug Enforcement Administration’s inaction on rescheduling marijuana, legalization proponents have responded by taking to the internet to highlight Patent No. 6,630,507 — telling the DEA to “talk to the hand” by writing “6,630,507” on their palms, hashtagging the number and linking to past articles on the topic. The recent social media flurry has consisted of posts varying in allegations and accuracy — some have claimed that the government patented the marijuana plant in its entirety. But the overall intent is one that is symbolic in nature, said Sam Mendez, an intellectual property and public policy lawyer who serves as the executive director of the University of Washington’s Cannabis Law & Policy Project. Mendez, patent lawyers, the research arm of the HHS and the New York biopharmaceutical firm that’s working as an exclusive licensee under the patent also caution that the existence of Patent No. 6,630,507 isn’t necessarily so black and white. More broadly, the existence of Patent No. 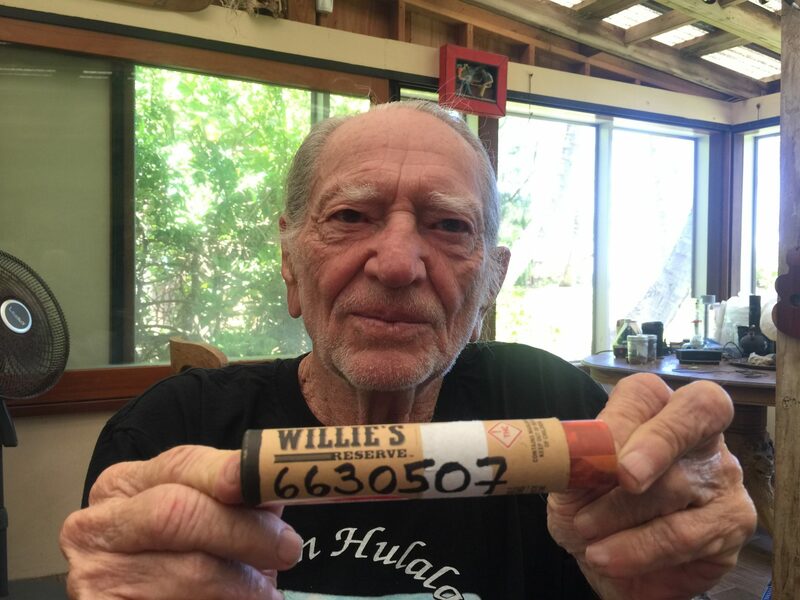 6,630,507 shines a light on what could result from legalization — an explosion of marijuana-related patents, he said. The National Institutes of Health has roughly 6,000 doctoral-level scientists in its employ, working mostly in Maryland, said Mark Rohrbaugh, who holds doctorates in biochemistry and law and is special adviser for technology transfer at the NIH. When one of those scientists invents a new technology or makes a new discovery, the NIH evaluates the result and determines whether to file for a patent. Over the years, the NIH has conducted and funded research involving cannabis — both as a drug of abuse and for its potential therapeutic properties, said Renate Myles, an NIH spokeswoman. In this case, the researchers discovered that non-psychoactive compounds in cannabis may potentially have antioxidant properties that could be beneficial in the treatment of certain neurological diseases, she said. The DEA’s decision has nothing to do with the NIH’s cannabis-related patent, Rohrbaugh said. The patent doesn’t yet prove the chemical compound is effective in the stated treatment, he said, adding that the compound would have to be purified, synthesized in a lab setting, subjected to extensive testing in animals and humans, and ultimately require U.S. Food and Drug Administration approval to show that it’s safe and effective for the intended purpose. The intent behind patenting and licensing NIH discoveries is to not have technology that could potentially benefit the public sit idle, he said. To ensure this, it sometimes requires looping in the private sector, he said. Laws in the 1980s further established the technology-transfer capabilities of entities such as the federal government and universities to have discoveries accessible to others who are in a better position to progress research and potentially commercialize the developments. The entities behind the discoveries typically receive payments as part of the licensing agreement. DEA spokesman Russ Baer declined to comment about the patent, directing queries to the NIH. Five years ago, the NIH granted New York-based Kannalife Sciences Inc. an exclusive license to utilize part of the technology outlined in the patent to develop cannabinoid- and cannabidiol-based drugs for the treatment of hepatic encephalopathy — brain damage that could result from conditions such as cirrhosis. Kannalife also has a non-exclusive license to develop drugs to treat chronic traumatic encephalopathy (CTE), a rare and progressive degenerative brain condition likely caused by repeated head trauma, Myles said. No other companies have yet licensed portions of the 6,630,507 patent, she said. Headed by a former VP of the firm depicted in the film “The Wolf of Wall Street,” Kannalife was recently featured in a football-related Sports Illustrated report regarding its CTE efforts. Kannalife CEO Dean Petkanas did not disclose the specific terms of the license agreement, but he told The Cannabist this week that the agreement does include milestone payments, a percentage of sales as well as royalties in “the six figures” to the government. The patent is valid in several jurisdictions, including the United Kingdom and Australia, he said. Kannalife is about to begin raising $15 million in private investments, which would allow it to start clinical trials related to hepatic encephalopathy as soon as the first quarter of 2018, he said, adding that Kannalife anticipates eventually seeking orphan drug status — a special FDA designation for treating rare conditions. Petkanas also is evaluating the potential of conducting CTE-related trials in Europe. Petkanas said there is a concern that cannabinoid chemicals could exhibit toxicity at high dosing, so he believes additional research is beneficial. That one arm of the federal government is poised to make money from cannabis-derived compounds — and another arm has approved synthetic cannabinoid drugs such as Marinol and Syndros — tells a different story than that told by the DEA, which lumped together the hundreds of chemical compounds of cannabis as a Schedule I substance, said Gregory F. Wesner, a Seattle-based patent and trademark attorney for Lane Powell PC. Embodying that contradiction is the U.S. Patent and Trademark Office, he said. Patents have been granted for the utility of cannabinoids and other compounds. However, the issuance of trademarks will be murky until the legalization of marijuana is resolved on a federal level, he said. If and when national legalization comes, it’ll trigger a swarm of patent applications, said the UW Cannabis Law Project’s Mendez. An analysis conducted by Christopher Freerks, a Lane Powell patent administrator, shows that the PTO already has granted at least four dozen cannabis-related utility patents, including HHS’ Patent No. 6,630,507. The analysis does not include plant patents, which have been tougher to come by for some cultivators. “If the laws change and the big companies move in, I think we’ll have a period of turmoil around ownership, patenting, the whole business,” said Erich Veitenheimer, a patent lawyer and partner at Cooley LLP in Washington, DC, who represented the patent holders of No. 9095554. The Vice article noted the rise of the Open Cannabis Project, an organization that is cataloging and classifying marijuana strains already in existence and, hence, the public domain. Patent attorney Dale C. Hunt, an Open Cannabis Project board member who has degrees in botany, genetics and biology, told The Cannabist that one would need to develop a completely new strain in order to land a patent. But beyond strains, legalization likely will open the doors to protection of intellectual property across all aspects of the industry, said Hunt, an attorney for Hahn Loeser’s office in San Diego. “I think there will be a greater emphasis on innovation,” he said. If legal, it’s realistic to believe that the innovation could carry on in the laboratories of NIH scientists; but for now, the federal government’s technology transfer and patenting actions around cannabis do not appear to be widespread, he said.